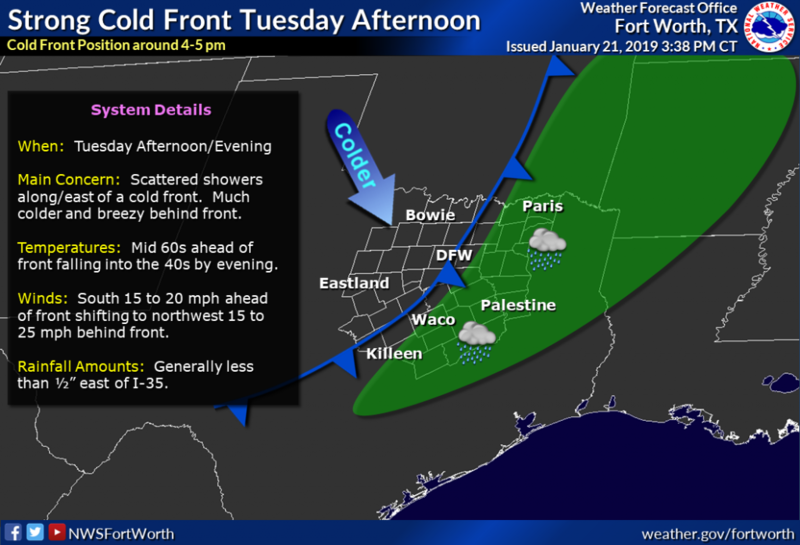 A strong cold front will move through the area late this afternoon into the evening hours. Temperatures will fall from the 60s into the 40s by early evening. Winds will shift to the northwest 15 to 25 behind the front. Scattered showers will develop along and ahead of the front.